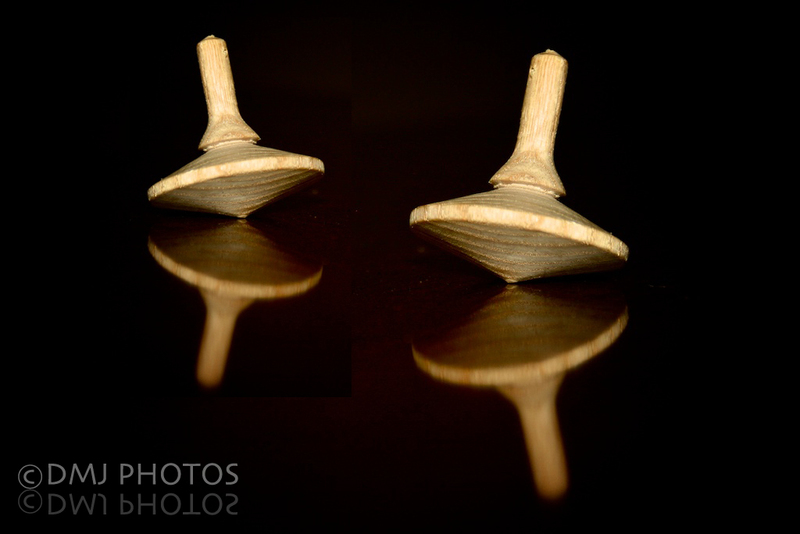 These are spinning tops that my father so handily makes. This one was sitting on the counter today and I decided to take a photo of it. I took about fifty shots of it, in different locations, spinning vs. still, with colourful backgrounds, etc. In the end, I decided the simple, black background was the best. (I’m all for simple is better!) This was confirmed when I uploaded all the photos to evaluate and choose my ‘Photo of the Day’. However, my husband also showed me how to make the photo even better my adding another top to it! I’m quite happy with how this photo turned out :-). This entry was posted in Uncategorized and tagged 365 Day Photo Challenge, Denise MacDonald, DMJ Photos, Panama, Photo Challenge, postaday, spinning top. Bookmark the permalink. Great shot with a great reflection.